It’s difficult to capture and relay the essence of a sport, and even more difficult to do so with a culture. Doing so in a nonfiction narrative is an increased challenge, since, most often, devotees and die-hard fans may not seem camera-ready. “All In: The Poker Movie” is an extraordinarily competent, totally engaging immersion into the world of poker, tracking its history and development over time. Like many documentaries, it has many focal points and hits on numerous topics over the course of its runtime, and it remains thoroughly interesting and compelling as it navigates each piece of the poker universe. “All In: The Poker Movie” can be broken down into four major parts, which overlap as one feeds into another. The history of poker is explored in enormous detail, back to presidential poker games in the White House and the mass mailing of card decks overseas to soldiers in World War II. 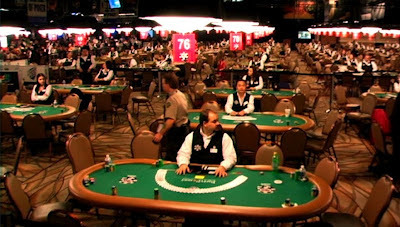 The science of poker and gambling is an obvious subject, and the energy of those interviewed appropriately conveys the personalities and attitudes that go into the game. Poker in film comes into play as well, with Matt Damon serving as an interviewee due to his participation in the film “Rounders,” which he claims is the role for which people most recognize him. Finally, the rollercoaster rise and fall of online poker is chronicled in the most dramatic of fashions. This documentary is full of fantastic anecdotes, such as one interviewee’s assertion that, several decades ago, watching poker on television was less interesting than watching paint dry. 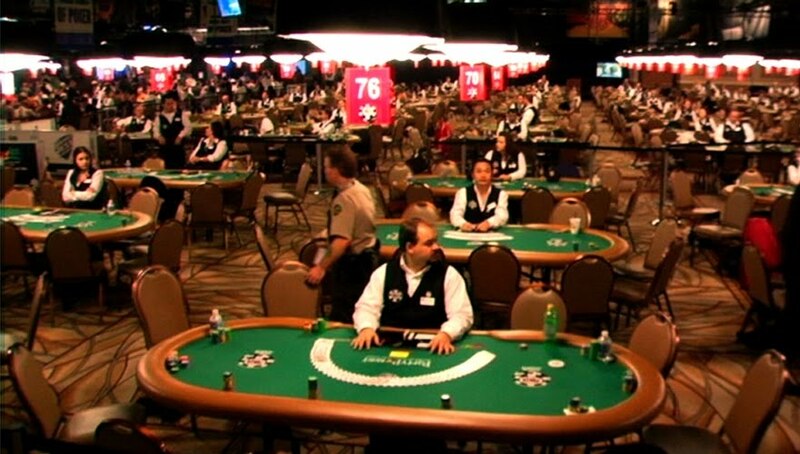 Such stories lead to more stories about impactful changes, such including the introduction of the hole cam in televised poker, which shows a player’s hand to viewers. Veteran players complain about rookies wearing sunglasses while playing inside, and the tale of the aptly-named Chris Moneymaker’s rise to fame is fascinating. Like any good documentary, the film includes statistics and hard facts, charting the introduction and demise of online poker and its effect on the industry as a whole. This reviewer has become a casual poker player of late, and therefore this film holds a certain appeal, but it’s broad enough in its construction and appropriately specific in its defense of its sport as legitimate that it should please just about anyone. Even those that find the notion of gambling deplorable might may be swayed by this honest, even-handed portrayal of poker culture.